The Typed DataSet Northwind.xsd is located in the App_Code folder s DAL subfolder. 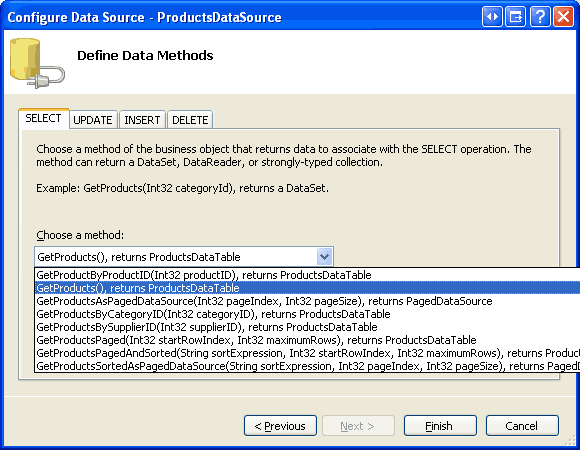 Create a subfolder in the DAL folder named TransactionSupport and add a new class file named ProductsTableAdapter.TransactionSupport.vb (see Figure 4). 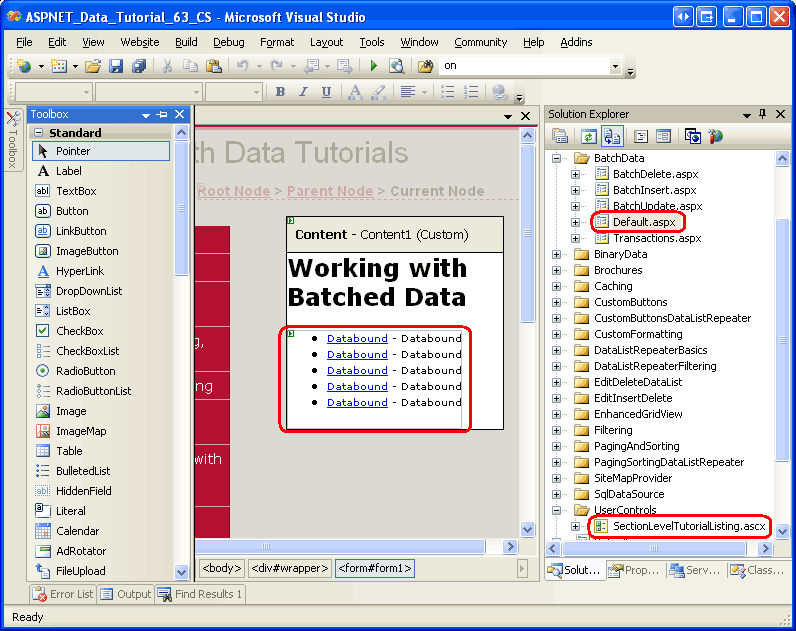 This file will hold the partial implementation of the ProductsTableAdapter that includes methods for performing data modifications using a transaction. The Partial keyword in the class declaration here indicates to the compiler that the members added within are to be added to the ProductsTableAdapter class in the NorthwindTableAdapters namespace. 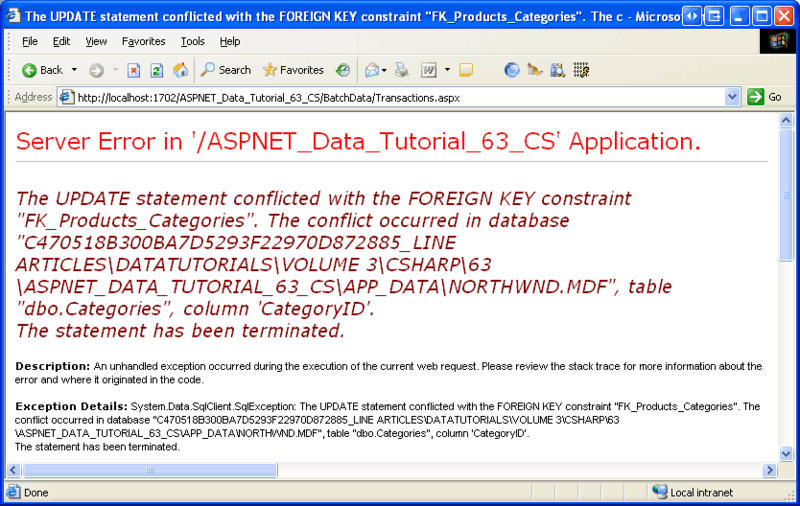 Note the Imports System.Data.SqlClient statement at the top of the file. Since the TableAdapter was configured to use the SqlClient provider, internally it uses a SqlDataAdapter object to issue its commands to the database. 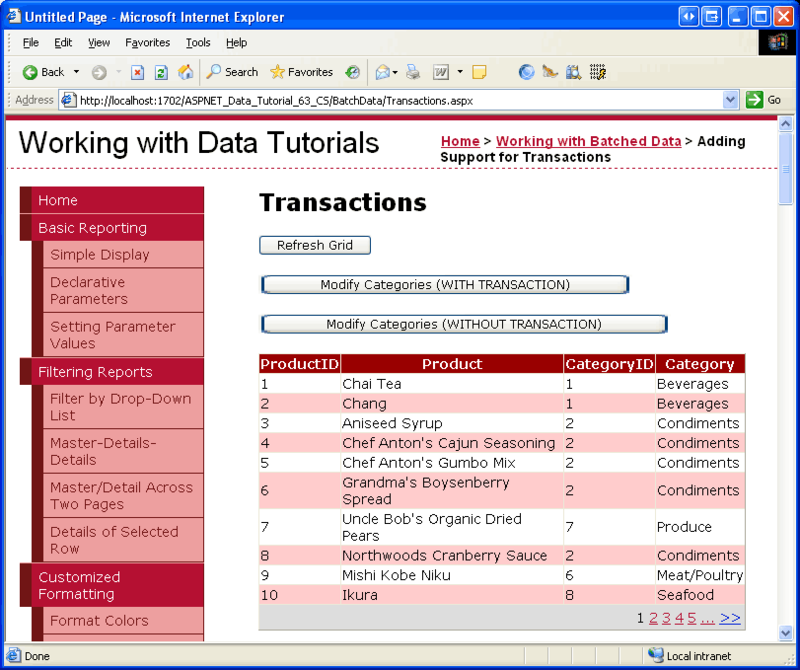 Consequently, we need to use the SqlTransaction class to begin the transaction and then to commit it or roll it back. 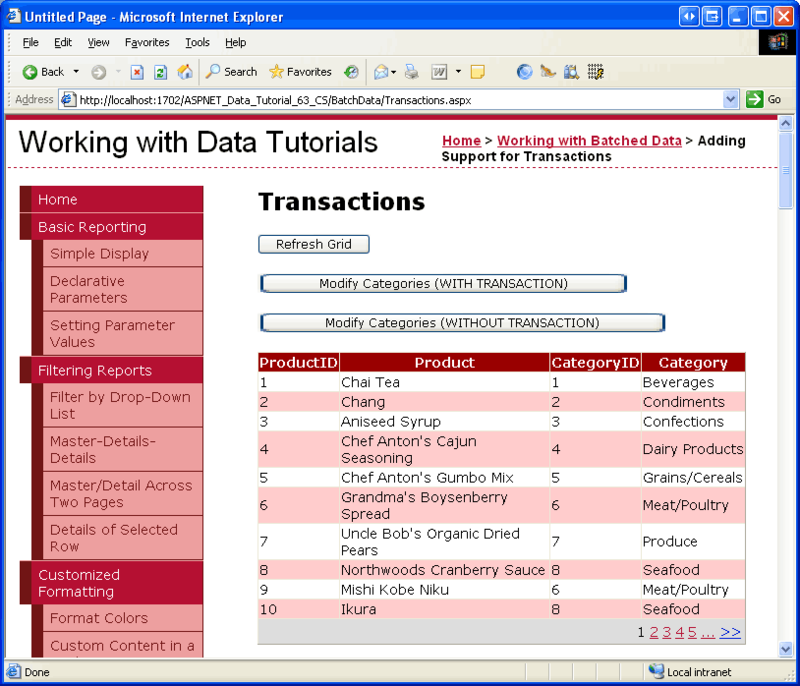 If you are using a data store other than Microsoft SQL Server, you'll need to use the appropriate provider. 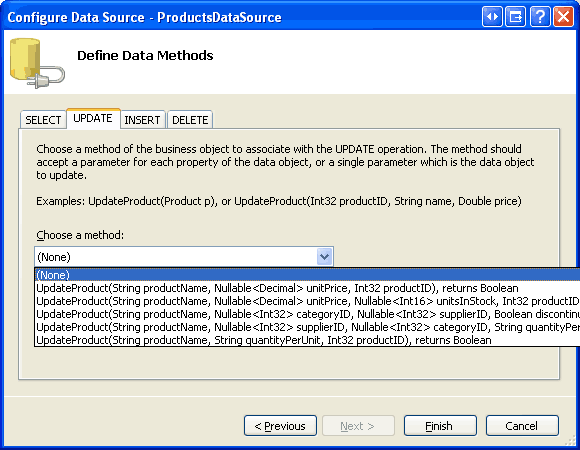 Add the UpdateWithTransaction method to the ProductsTableAdapter class through the partial class in ProductsTableAdapter.TransactionSupport.vb. Alternatively, this method could be added to the Business Logic Layer s ProductsBLL class with a few minor syntactical changes. Namely, the keyword Me in Me.BeginTransaction(), Me.CommitTransaction(), and Me.RollbackTransaction() would need to be replaced with Adapter (recall that Adapter is the name of a property in ProductsBLL of type ProductsTableAdapter). The UpdateWithTransaction method uses the Batch Update pattern, but a series of DB-Direct calls can also be used within the scope of a transaction, as the following method shows. The DeleteProductsWithTransaction method accepts as input a List(Of T) of type Integer, which are the ProductID s to delete. 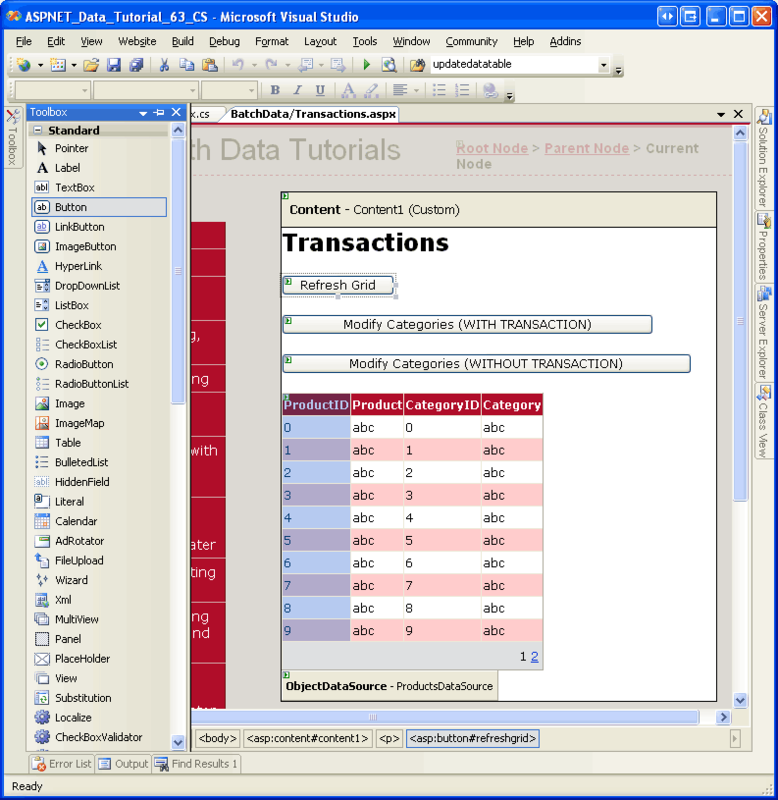 The method initiates the transaction via a call to BeginTransaction and then, in the Try block, iterates through the supplied list calling the DB-Direct pattern Delete method for each ProductID value. If any of the calls to Delete fails, control is transferred to the Catch block where the transaction is rolled back and the exception re-thrown. If all calls to Delete succeed, then transaction is committed. Add this method to the ProductsBLL class.